For all the saints who from their labors rest, who Thee by faith before the world confessed; Thy name, O Jesus, be forever blest. Alleluia, Alleluia! This hymn fills the air today at churches and schools across the globe. It is the Feast of All Saints! This is my favorite feast day of the Church year and has been since childhood. When I was in grade school I spent many hours reading biographies on the lives of the saints. What exciting lives they lived! They loved Jesus, just as I was trying to do, and they did things in the most exotic and faraway places. What a life! Who wouldn’t want to be a saint? This is also the day in 1833 that the BVM Congregation was founded. One hundred and eighty-five years of presence in the Church and in the world confessing the name of Jesus and helping those he has sent us to serve. I have learned many things during my years as a BVM. One is that the life of a BVM is filled with exciting adventures, just like those saint stories I read as a youth. 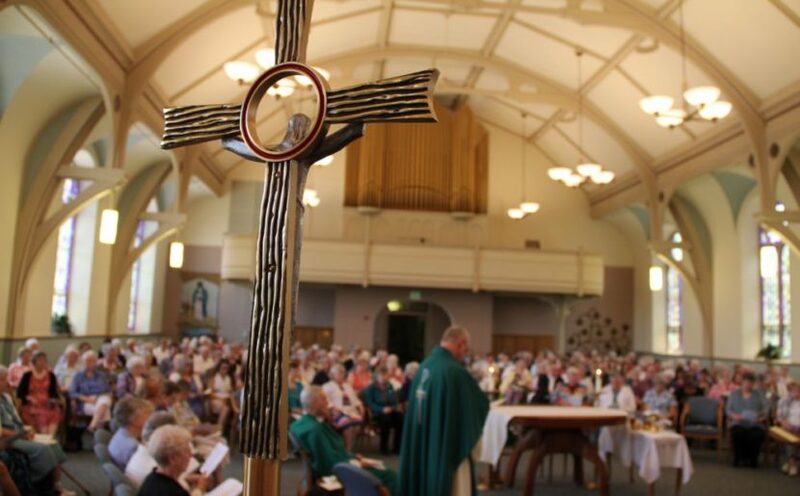 The second is that the BVM Congregation is filled with saints: women confessing the name of Jesus while ministering to the needs of God’s people. There have been and continue to be saints among us! Veronica O’Reilly, Vera Carlin, Cuthbert Laffey, Seraphica Nagle, Basilian Donohue, Adele Keneally, Vincentina Louis, Thecla Carroll, Judith Ward, Mary McElligot, and Josepha Carton. Thank you for sharing of yourself and BVM history. To all our deceased sisters and associates, be with us.